Have you ever heard of a Buddha Board? It’s a great gift for coworkers, kids, or anyone who likes creative expression and painting. 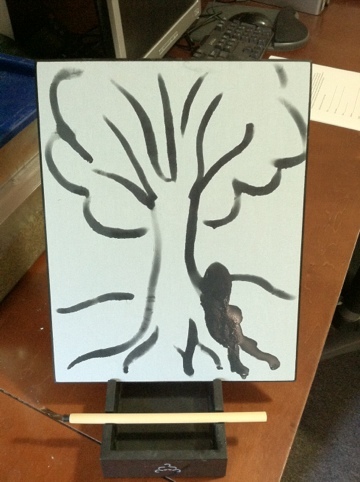 Once you buy a Buddha Board, the only supply you need is water! I have mine in the office and it’s a great mind break for me to clear my head and spend a few minutes painting – really convenient too, because the painting disappears completely after about two minutes, leaving a blank slate for the next moment inspiration strikes you or for the next person to have their turn!